Bangkok Bank (China) Company Limited (“Bangkok Bank China”) is a service-oriented commercial bank with a strong focus on China and Southeast Asia. Bangkok Bank China is 100 percent owned by Thailand’s largest bank, Bangkok Bank Public Company Limited (“Bangkok Bank”), which has a long history of supporting Asian business communities engaging in international trade, especially in Southeast Asia and China. Bangkok Bank’s first overseas branch opened in Hong Kong in 1954. In 1986, Bangkok Bank opened a representative office in Beijing which was later followed by branches in Shantou, Shanghai, Xiamen, Beijing, and Shenzhen (relocated from Shantou). 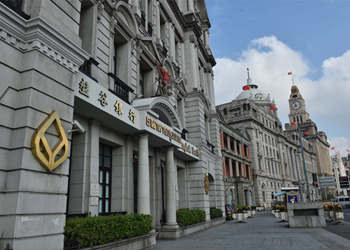 Bangkok Bank China opened in Shanghai on December 28, 2009 and operates branches and sub-branch in Shanghai, Beijing, Xiamen, Shenzhen, Chongqing and Shanghai Free Trade Zone. Bangkok Bank China offers a wide range of banking services to our international and domestic clients, and specializes in providing banking services including taking in deposits from the general public, granting short-term, medium-term and long-term loans, handling acceptance and discount of negotiable instruments, buying and selling government bonds and financial bonds, buying and selling non-stock negotiable securities denominated in foreign currencies, providing L/C (letter of credit) services and guaranties, handling domestic and overseas settlements, buying and selling foreign currencies, inter-bank funding business and providing credit standing investigation and consultation service, etc. Bangkok Bank China now operates branches and sub-branch in Shanghai, Beijing, Xiamen, Shenzhen, Chongqing and Shanghai Free Trade Zone. The parent bank, Bangkok Bank also has branches presence in Hong Kong, Taiwan, Singapore, Indonesia, Vietnam, Laos, Philippines, Japan, Myanmar, Cambodia, USA, UK and Cayman Islands, and a wholly-owned subsidiary in Malaysia, Bangkok Bank Berhad. Bangkok Bank (China) Won the Award of "2014 Top 10 ASEAN Enterprises Entering China"